Homes, boarding houses, schools, businesses, and industries for lumbermen, employees of the railway, miners, their families, co-workers and countrymen and women. Copper Cliff 1902. Private collection Pat Oppedisano, Owner of Pat's Men's Hairstylists and Barber Shop in Copper Cliff. 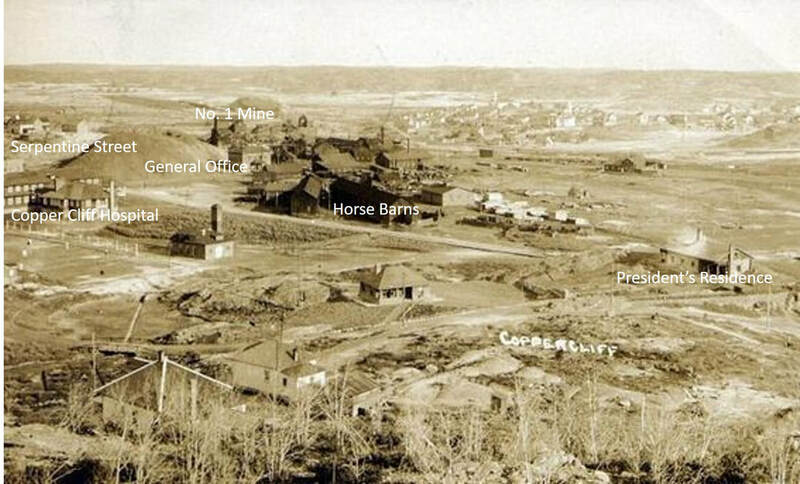 Copper Cliff looking east, circa 1913.